This is a book review I’ve spent longer than usual thinking about. I’ve wanted to get it out there, but at the same time not rush it, because the subject really is something quite special. And I’ve been busy with a lot of other stuff so finding time hasn’t been easy. The subject is Tiina Itkonen’s book, Avannaa, for which I was pleased to be able to contribute to the crowdfunding campaign. Avannaa is subtitled “Photographs of Greenlandic Landscapes”, but it is much more than that. It is an expression of one person’s discovery and connection with a faraway world that most of us can only dream of. And unlike so much landscape photography, especially that in the polar latitudes, which largely consists of trophy hunting, this is the product of a long term, deep relationship with both the natural and human landscapes. 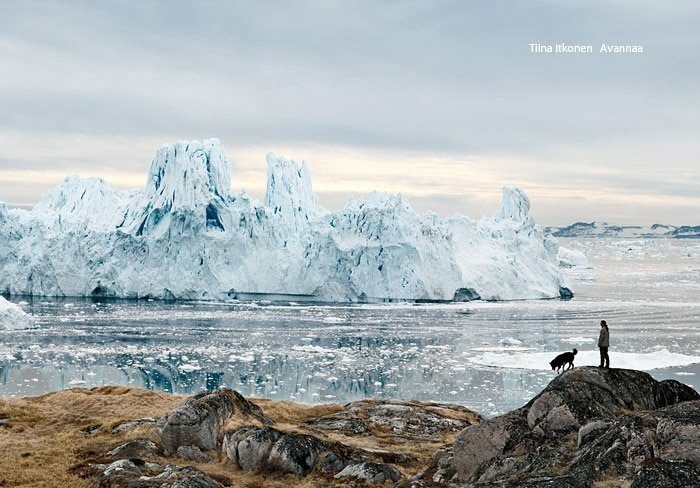 Added to that, Tiina Itkonen as a photographer has a delicate, precise touch which brings alive the subject matter, and communicates her passion for Greenland, without falling into the trap of the over-processed, superficial quick thrill effects which are so commonplace these days. These photographs are clearly born from patient observation, of clicking the shutter only when the moment demands it, rather than from rushing around snapping everything in sight and hoping that something can be made of it all later. They have plenty to say, but prefer to say it quietly. The strong visual and thematic coherence add to the sense of depth and meaning. You can dwell over the landscapes in Avannaa without them grabbing you by the throat. Every new visit reveals something else, and serves to increase appreciation for the photographer’s talent. This is not the kind of photography which is going to appear on the front page of “Awesome Digital SLR Photography Monthly”, or gain 1000+ faves on 500px, but it could well grace the walls of art photography lovers, which is probably why Itkonen is better known in the art photography world, with serious gallery representation, than in the camera buying world. Indeed, there is not one word about cameras or technology in either Avannaa or the earlier Inghuit. Having said that, the technical quality of the photography is flawless. As a large proportion of the photography is in panoramic format, with a ratio of 3:1, and has a very film-like palette, with remarkable detail, one could guess at the use of 6x17 camera. But it really doesn’t matter. It takes a lot of dedication to complete a body of work such as this. Greenland, although reasonably accessible these days, is still a remote a difficult place to get to grips with. Many people would consider a quick summer flight to Nuuk, or even Kulusuk, as epic enough, but reaching the communities of the north-west coast, and living amongst them not only in summer, but also in winter, and repeating the experience time and again, well this ventures well into the territory of obsession. 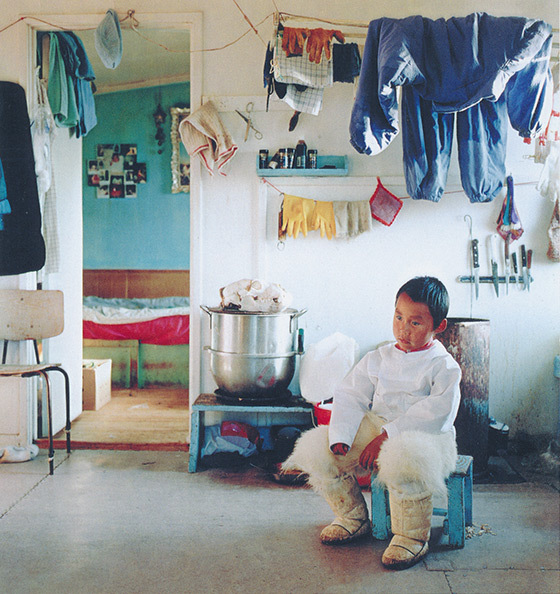 In her earlier work, Inughuit, Itknonen focused on the Greenlandic people, mainly through intimate portraits of daily life. In Avannaa the people are still there, but the landscape now takes centre stage. However, you still get the strong feeling that the landscape is shaped and given meaning by the people who live in it. This is the big difference between the High Arctic and the Antarctic. The Antarctic really is an alien place, survivable only in artificial circumstances. But the High Arctic, as terrifying as it may seem to a comfortable West European, is and has been home to many, many generations, and these people have given the landscape life through myth, legend, and everyday life. The landscape and it’s inhabitants are closely intertwined, and removing one or the other from any photographic representation removes the magic. If I had to find something to criticise, it would only be a slight regret that the format isn’t a little bigger, so that the panoramic frames do not have to run across two pages. But the economics of book publishing these days probably push that kind of luxury out of the bounds of reason. I guess you can tell I like this book. I’m looking forward to Tiina Itkonen’s next works. You can - and should - buy Avannaa here.